With Ecuador cutting off internet communication and visitors for Julian Assange, the WikiLeaks publisher is now being arbitrarily detained in conditions worse than most prisoners who have been found guilty of murder — for the crime of committing journalism. While Ecuador must be applauded for their continued protection of Assange, they should not even be in this position. President Donald Trump has the ability to end this gross human rights violation once and for all. Whether it agrees or not with what Julian Assange says, Ecuador's denying him access to the Internet as well as to visitors is incompatible with its grant of asylum. His refuge in the embassy looks more and more like solitary confinement. In 2015, Google handed over all of WikiLeaks Investigations Editor Sarah Harrison, Section Editor Joseph Farrell and senior journalist and spokesperson Kristinn Hrafnsson’s emails and metadata to the United States government on the back of alleged ‘conspiracy’ and ‘espionage’ warrants. The alleged offenses in the warrants included espionage: 18 U.S.C. § 793(d), conspiracy to commit espionage: 18 U.S.C. § 793(g), the theft or conversion of property belonging to the United States government: 18 U.S.C. § 641, violation of the Computer Fraud and Abuse Act: 18 U.S.C. § 1030, and (general) conspiracy. These offenses alone carry a sentence of up to a total of 45 years of imprisonment, and this was before the DNC leaks. In 1866, the Supreme Court ruled in Ex parte Garland that the pardon power “extends to every offence known to the law, and may be exercised at any time after its commission, either before legal proceedings are taken, or during their pendency, or after conviction and judgment.” This grants the president the power and the right to pass out pardons as he pleases, without a charge ever having been filed. The only exceptions to this rule would be state crimes and convictions handed down in an impeachment proceeding — which are unlikely to apply to Assange. When pardoning Richard Nixon, Gerald Ford simply absolved him of “all offenses against the United States which he … has committed or may have committed or taken part in” from when he took office in 1969 and when he resigned in 1974. Trump could do the same for Assange. 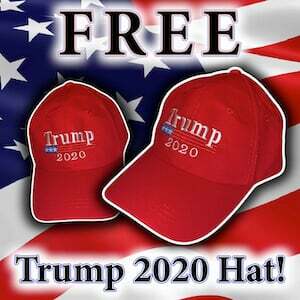 While many worry that the optics may be bad given the mass hysteria, the simple fact of the matter is that Democrats and Never Trumpers are never going to support our president, and he should stop worrying about trying to appease them. A pardon to protect real press would be both a smack in the face to the lying fake news media he always rails against and the Deep State that has been out to get him since before he even stepped foot in the Oval Office. Trump’s own lawyers have even argued the validity of WikiLeaks publications, so it would make sense for him to take a bold stand for press freedom by pardoning the one publisher who has never had to issue a retraction or an apology. As we have previously reported, President Donald Trump’s attorneys have been quietly making a case in defense of WikiLeaks throughout legal filings responding to a lawsuit filed by Democrat Party donors who allege that the campaign and former advisor Roger Stone conspired with Russians to publish the leaked Democratic National Committee emails. In a later filing, which we have also previously reported on, Carvin argued that WikiLeaks is protected under the Bartnicki First Amendment Test. The motion, filed on December 29, argued that a defendant may not be held liable for a disclosure of stolen information if the disclosure deals with “a matter of public concern” and provided that the speaker was not “involved” in the theft. Given that WikiLeaks does not steal or hack the documents that they publish, this precedent set by the case of Bartnicki v. Vapper should also apply to Assange. The organization publishes material that is given to them if it meets their editorial criteria, which is that it must be of political, diplomatic or ethical importance and it must not have been published elsewhere. When the nation elected President Trump, they did so as a rejection of the DC establishment status quo. 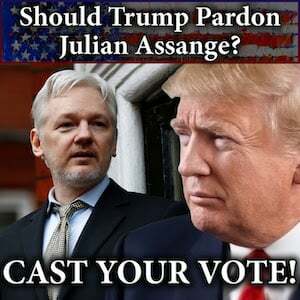 There is no better way to prove commitment to these ideals than freeing the man who has been fighting one of the bravest fights against the swamp, at great risk to himself, all while trapped within the confines of a small embassy that has become his prison. 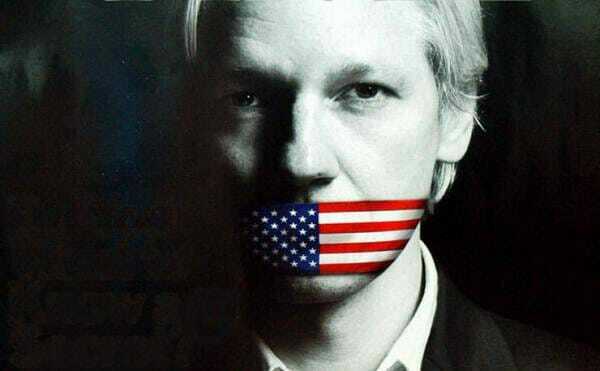 With his voice now stripped from him, Assange has given up his freedom, ability to watch his children grow, and the right to communicate — to accomplish the same goal that current administration campaigned on, exposing crooked politicians and corporations. Assange entered the Ecuadorian Embassy in London on June 19, 2012, where he applied and was granted political asylum. 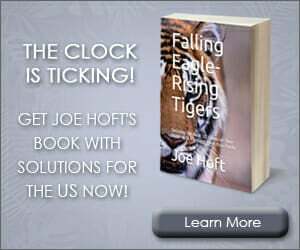 Since that day, six years ago, the embassy has been encircled by police waiting on standby to arrest him. In 2010, Assange was named the people’s choice for Time’s Person of the Year, though the title was ironically (and unjustly) awarded to Mark Zuckerberg. He has also won a Sam Adams Award and Martha Gellhorn Prize for Journalism, among many others.